Where do you go when no place is safe? Who do you turn to when saying anything could get someone killed? Who can you trust when "they" could be anyone? Robyn Lockhart liked her simple but predictable life in the small Iowa town she grew up in. But when her mother moves them to the big city, Robyn has no choice but to brave the tumultuous high school she's thrust into. Then, with barely a blink and as an outsider looking in, Robyn begins asking questions that no one seems willing to face. Is it possible to stay silent while simultaneously shouting from the rooftops that something is deadly wrong? And if you shout, beyond those watching every move you make, who will even hear? 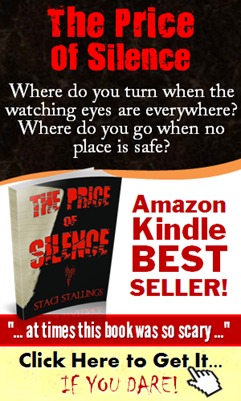 For every Staci Stallings book that I have read, I always say “It is amazing”. I would start to sound like a broken record, but when I have to be up at 6am and at 2am I am still up wondering where has the time gone and my only regret is that I have to go and sleep so I cannot finish the book,the word “amazing” does not suffice. 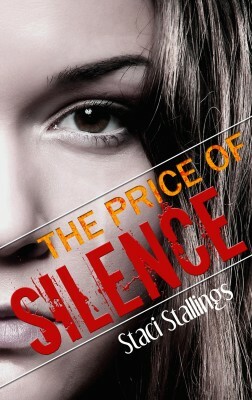 The price of silence is different from any other Staci Stallings’ book that I have ever read. This however shows the diversity and talent of the author because no matter what she writes, it is always amazing! Let me reiterate, you won’t regret reading this book.